Do You Qualify For Obama Mortgage Modification? If you are like many homeowners who are struggling in the economy today, you have likely missed a payment or two on your mortgage, or been forced to pay little else but your mortgage because your income has been reduced to a low level. If you are at risk of defaulting on your existing mortgage loan, it might be time for you to look into a plan that President Barack Obama has crafted to help save homeowners from losing their homes to foreclosure, and to keep them from filing bankruptcy in order to save their homes. This plan is called mortgage loan modification. Modification of your mortgage means refinancing your mortgage to more favorable terms that allow you to realize a lower rate of interest and make a small, predictable monthly payment. To qualify for mortgage loan modification, your mortgage loan must be your primary mortgage (not a second mortgage) and you must owe less than $729, 500 on the mortgage. Your mortgage must have been written and closed before January 1, 2009 and you must live in the home for which the mortgage is written (not a rental, investment or vacation property). You must be able to verify your current income with a tax return and copies of your most recent pay stubs or pay statements. You must also be able to present a letter that is handwritten by yourself and signed that details your financial hardship. 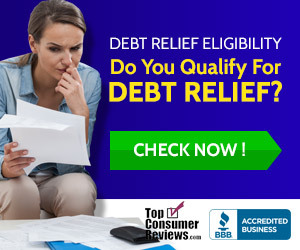 In order to qualify for mortgage modification under the Obama plan if more than 55% of your income is taken by debts, you must agree to seek credit counseling with an approved counseling program. It is important to remember that mortgage loan modification is a bit different than simply refinancing your home mortgage. Modification is modification of the terms of your mortgage, not refinancing the mortgage per se, but rather modifying the terms so that they are more affordable and more favorable for the current economic situation that our country is engulfed in. Modifying your home mortgage is optimal under the terms of the mortgage loan modification program. Lenders working under the terms of this program can refinance your monthly loan payment so that it is no more than 31% of your gross monthly income. The interest that you pay on the loan modification will be as little as 2%, but will average for most borrowers at around 4.5% or slightly higher. The government will pay all of the fees under the mortgage loan modification program that are associated with the modification. Although most of the loans that will be modified will be under fixed rate terms, some of the mortgage terms may feature a balloon payment at the end of the mortgage; this will be determined on a specific case by case basis based on the income available to make monthly payments. Some of the loans under the modification program will be adjustable rate mortgages that may feature a higher rate of interest after five years. Homeowners can only use loan modification one time.